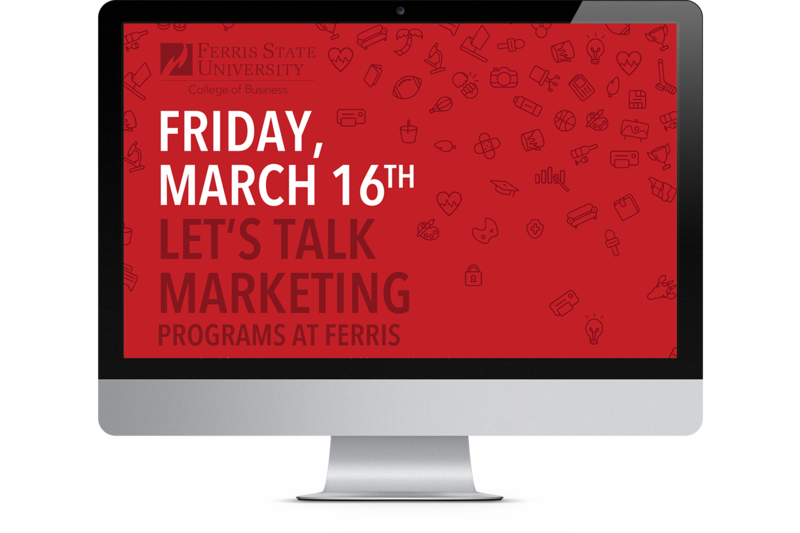 Original called the Day of Discovery, Let’s Talk Marketing is a recruiting event ran by the Marketing Department at Ferris State University aimed towards prospective marketing high school students. Since the beginning in 2002, there have been many directions this event taken. 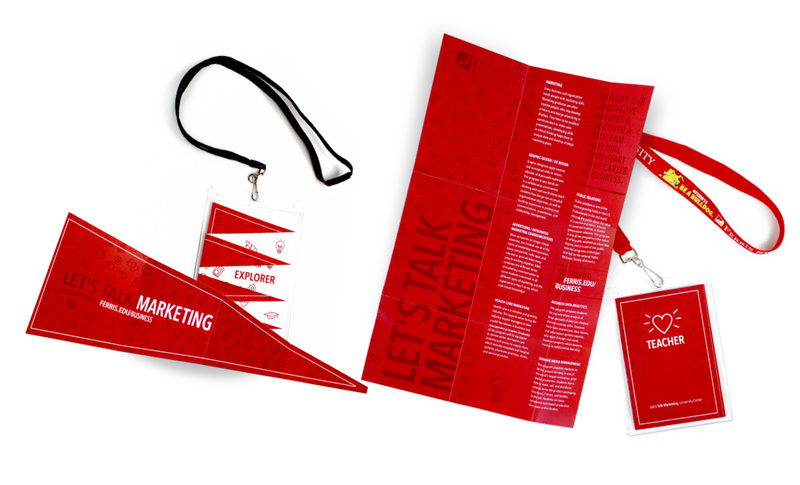 The popular concept was the “Bring Your Brightest.” Previously, the six programs would pair up with another program in the marketing department and put on their own presentation. Students would move room to room in the College of Business. 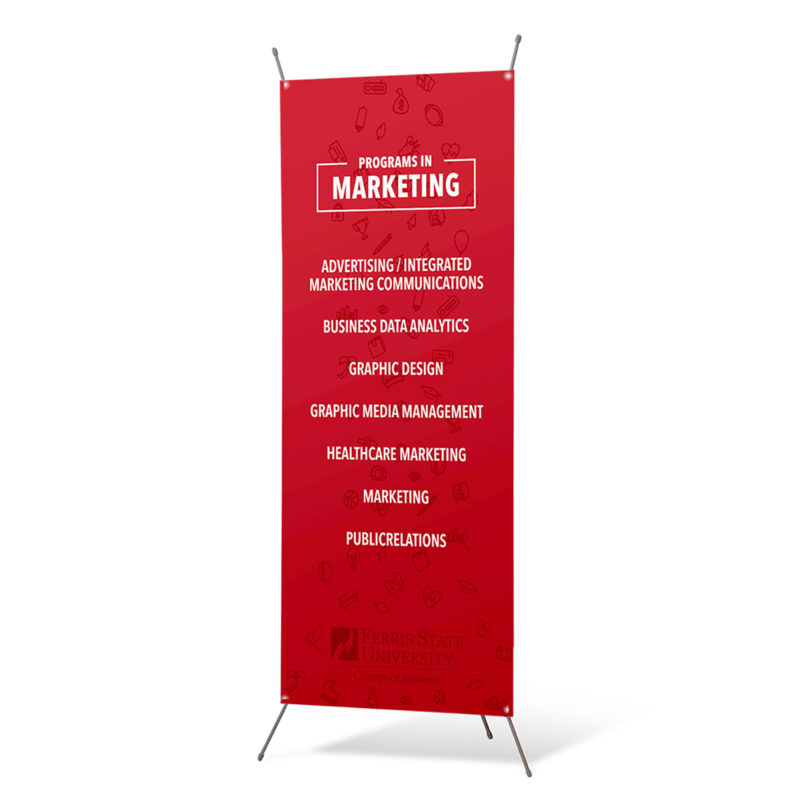 Provides students with real experiences that shows students how others and how they can jump start their business careers for the future. Allows students to reach our students on a personal level to get them talking about business and the opportunities. 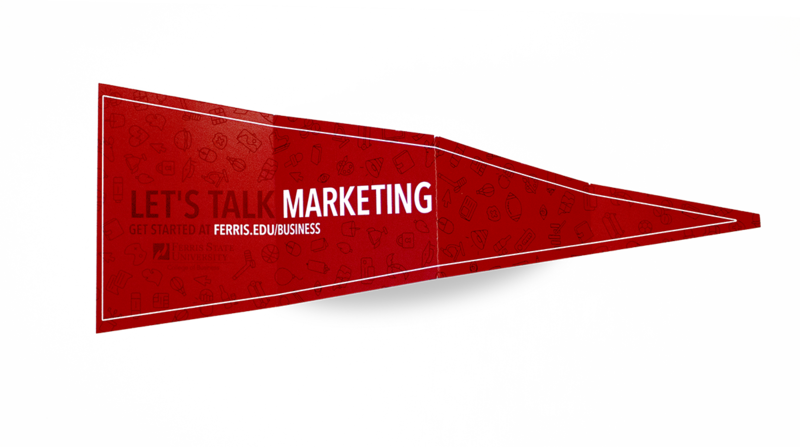 Students work one-on-one with Ferris students and discover the business careers by experiencing the what marketers do in the real world. 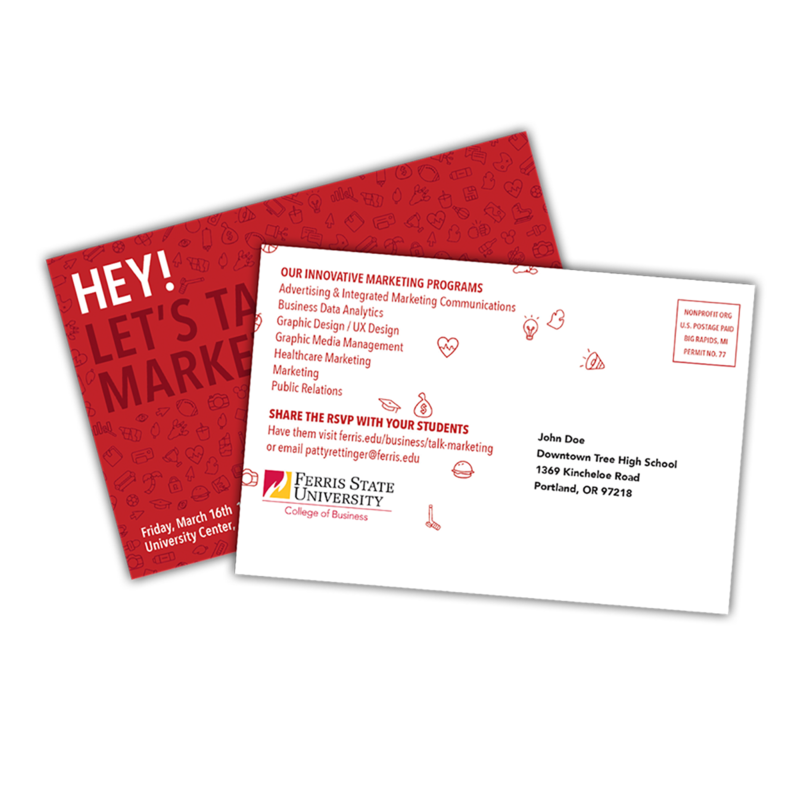 To spread the word about the event, we put together a postcard and an email campaign to send out to prospective students and high school teachers. 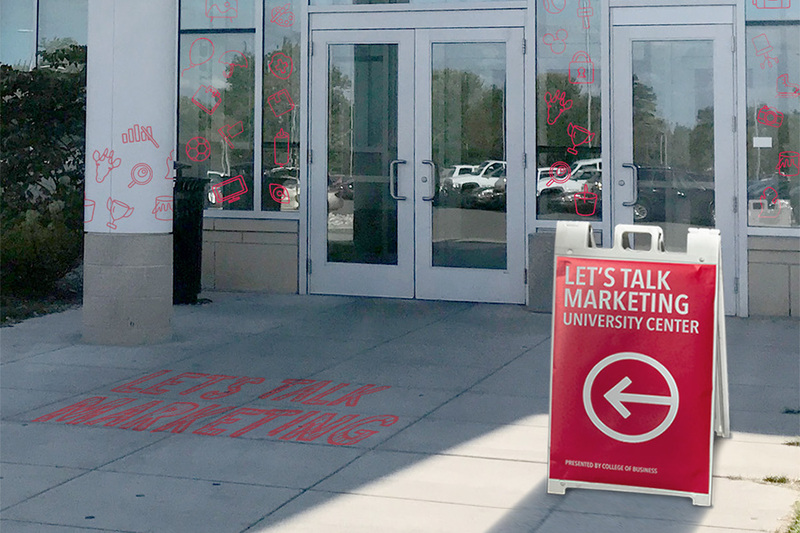 As students & teachers start to arrive, this is what they see on the door and at sign-in. At the very beginning of the event is when we took the opportunity to introduce the programs and showcase the alumni to have the students see peer-to-peer success in the work place. We also had to make sure we introduces the activity and the tasks they would need to complete. In the closing, there was a raffle for prizes, including a $500 scholarship. Also, each student was given a program brochure and survey to take home. After each survey was completed, we gathered up the data and here are our results. Almost 50% of the students wanted more time to work on the project. The overall rating was 7.5/10.